Each of our balcony guest rooms has a wonderful view of the harbor dotted with lobster boats and sailing vessels of all sizes. 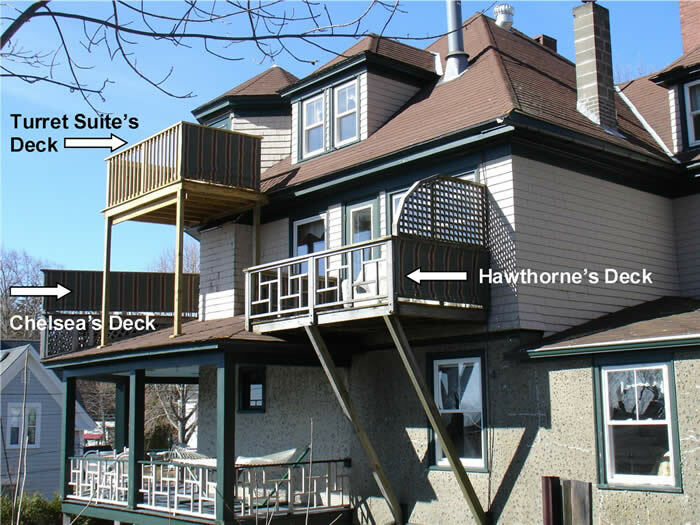 And each deck receives sunlight at different times of the day; Without dispute, our Kingsleigh Penthouse Turret Suite has the best panoramic view from the inn (and among the best in town, too). The Turret's deck faces East; Hawthorne's faces East; Chelsea's faces Southeast; and Abbott's faces South. 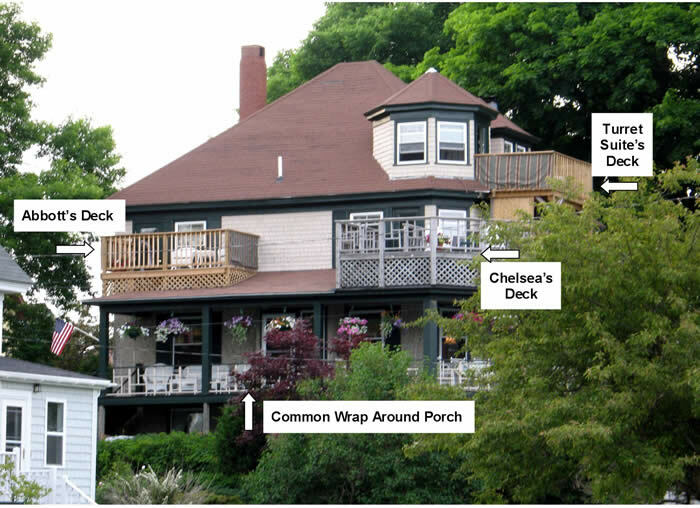 Each deck has privacy fabric matching the inn's awnings. And each photo shown of the harbor view was taken from that particular guest room so that our guests can see exactly what they'll enjoy once they arrive.